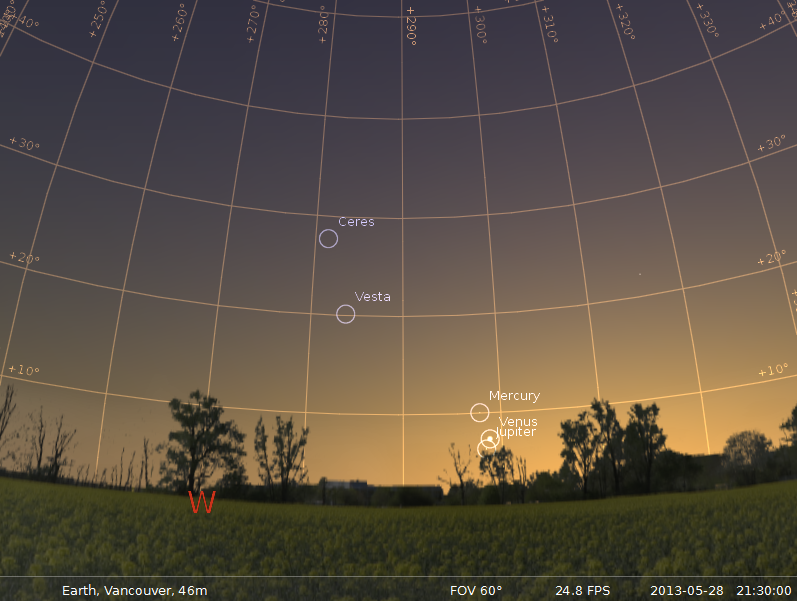 Here is another reason to watch the sun set: Mercury, Venus, and Jupiter are all super tight in the sky at the moment. Also, Mercury is about as bright as it can get – nearly half illuminated. This entry was posted in Ramble and tagged conjunction, Jupiter, Mercury, Venus. Bookmark the permalink. Just wake me up when we’re in the house of Uranus.